The NSA spying scandal shows that America’s pursuit of terrorists has turned into a mania. Spying on citizens is as monstrous and unlawful as Guantanamo Bay and drone warfare. The German government‘s response has been woefully weak. America is sick. September 11 left it wounded and unsettled — that’s been obvious for nearly 12 years — but we are only now finding out just how grave the illness really is. The actions of the NSA exposed more than just the telephone conversations and digital lives of many millions of people. The global spying scandal shows that the US has become manic, that it is behaving pathologically, invasively. Its actions are entirely out of proportion to the danger. 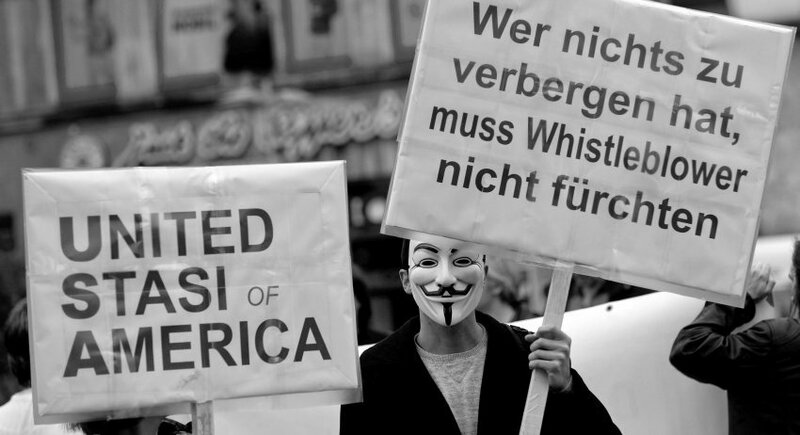 via SPIEGEL Commentary on US Internet Surveillance – SPIEGEL ONLINE. WASHINGTON—Republican and Democrat lawmakers expressed renewed skepticism Wednesday about the scope of the government’s surveillance operations and threatened to revoke authority for one of the programs recently disclosed by a former National Security Agency contractor that collects telephone records on tens of millions of Americans. “I feel very uncomfortable about using aggregated…data on everybody,” Rep. John Conyers, D-Mich., told Justice Department and NSA officials appearing before a House Judiciary Committee hearing. Noting mounting concerns since details about the telephone records program and a separate operation that collects the communications of non-U.S. citizens abroad were disclosed last month, Rep. James Sensenbrenner, R-Wis., said there “are not enough votes to renew” the authority, at least for the vast phone records collection effort. But Justice Department and NSA officials asserted that the programs were the subject of strict oversight by the Foreign Intelligence Surveillance Court, Congress and agency officials. The strong questioning from lawmakers comes more than a month after Snowden’s disclosures triggered a heated debate over the intersection of the government’s surveillance authority and personal privacy rights. Snowden has taken refuge in the transit area of a Moscow airport since fleeing Hong Kong last month to avoid extradition to the U.S.
Cole said the phone record collection program contained multiple safeguards against inappropriate breaches of privacy. Echoing defenses offered by other administration officials, he said collection did not involve the content of phone calls, nor did it include the names of the parties to the calls. “You can’t just wander through these records,” he said. In a resolution, the Parliament called on member nations to also consider suspending any counter-terrorism related data transfer arrangements — such as airline passenger records — they might have with the U.S. until better protections become available for the data. Meanwhile, in a separate development, the Washington-based rights group Electronic Privacy Information Center (EPIC) filed a petition with the U.S. Supreme Court challenging the legal basis that the NSA is using to collect the phone records of tens of millions of Americans. EPIC’s petition asked the Supreme Court to immediately halt the NSA’s domestic surveillance activities saying the agency has no reasonable basis for conducting such surveillance. The developments are the latest in a string of events that began when NSA contract worker Edward Snowden leaked documents describing secret U.S. surveillance programs to the media. 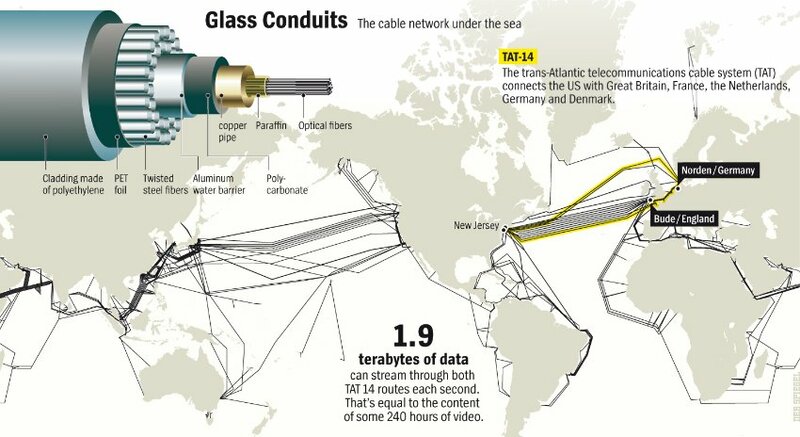 The documents describe various NSA data collection around the world, and have caused widespread concern about dragnet NSA surveillance activities not just within the United States but outside the country as well. The EU resolution, which was passed by a margin of 483 votes to 98 (with 65 abstentions), is one measure of the concern stoked by Snowden’s revelations. It strongly condemned the NSA’s alleged activities and urged U.S. authorities to provide the EU with full information on the secret surveillance disclosed by Snowden. The Snowden affair has strained Washington’s relationships with other countries as well. Over the weekend, Brazil for instance, expressed “deep concern” over a report in The Guardian newspaper about U.S. intelligence agencies tapping electronic and phone communications of Brazilian citizens. In a press statement, the country’s Minister of External Relations, Antonio Patriota, said Brazil’s government has sought clarifications from Washington on the nature of the NSA surveillance activities in that country. Several other Latin American countries have also expressed displeasure at Washington after a recent incident in which the plane carrying Bolivian President Evo Morales was forced into making an unscheduled stop in Austria on the suspicion that Snowden was on board. U.S. relations with Russia and China too have taken a hit over the Snowden affair. The U.S. government has accused both countries of not doing enough to extradite Snowden when they have had the ability to do it. Russia’s President, Vladimir Putin, has flatly said his country will not deport Snowden back to the United States. Snowden is currently believed to be in the transit lounge at Moscow’s Sheremetyevo airport, where he is evading U.S. authorities. He flew into Moscow from Hong Kong more than two weeks ago. 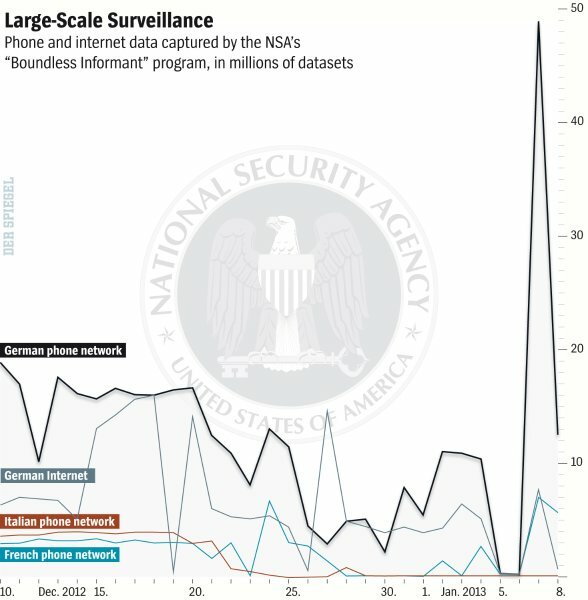 via Fallout from NSA surveillance program disclosures spreads – ComputerworldUK.com. RIO DE JANEIRO — Edward Snowden has very sensitive “blueprints” detailing how the National Security Agency operates that would allow someone who read them to evade or even duplicate NSA surveillance, a journalist close to the intelligence leaker said Sunday. “In order to take documents with him that proved that what he was saying was true he had to take ones that included very sensitive, detailed blueprints of how the NSA does what they do,” Greenwald said in the interview in Brazil, where he lives. He said the interview took place about four hours after his last interaction with Snowden, with whom he said he’s in almost daily contact. Despite their sensitivity, the journalist said he didn’t think that disclosure of the documents would prove harmful to Americans or their national security. “I think it would be harmful to the U.S. government, as they perceive their own interests, if the details of those programs were revealed,” said the 46-year-old former constitutional and civil rights lawyer who has written three books contending the government has violated personal rights in the name of protecting national security. He has previously said the documents have been encrypted to help ensure their safekeeping. Greenwald, who has also co-authored a series of articles in Rio de Janeiro’s O Globo newspaper focusing on NSA actions in Latin America, said he expected to continue publishing further stories based on other of Snowden’s documents for the next four months. Upcoming stories would likely include details on “other domestic spying programs that have yet to be revealed” which are similar in scope to those he has been reporting on. He did not provide any further details on the nature of those programs. Greenwald said he deliberately avoids talking to Snowden about issues related to where the former analyst might seek asylum to avoid possible legal problems himself. Snowden is believed to be stuck in the transit area of Moscow’s main international airport, where he arrived from Hong Kong on June 23. He’s had offers of asylum from Venezuela, Nicaragua and Bolivia, but because his U.S. passport has been revoked, the logistics of reaching whichever country he chooses are complicated. 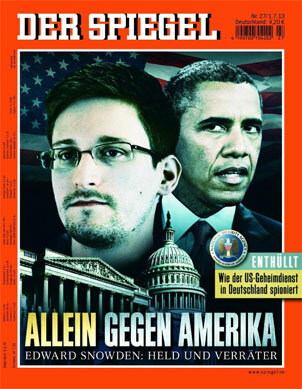 Still, Greenwald said that Snowden remains “calm and tranquil,” despite his predicament. via Edward Snowden has documents on how to evade NSA surveillance, journalist says | syracuse.com. Even those who are deeply incensed at the thought that the NSA and others are snooping on every American do not necessarily understand what the implications are; how this program has already destroyed most of what we thought it meant to live in America. Most Americans do not realize that the country that exists in their minds has already been dismantled. In some sense this ignorance is now our only hope… but only because our illusions are really our cherished memory of what we think we have and what we really want. Only now what we think we have no longer exists and if that’s what we still want, it will have to be reclaimed… it will have to be won all over again for we now live under a tyranny that we don’t all yet recognize or experience because up until now the dismantling of the Constitution has been a secret or at best a taboo topic for public discussion. No branch of government now operates as it was originally intended or visualized by the Framers. Those who are in control have corrupted every important aspect of what it means to live in freedom and in a democracy. We have to deeply lie to ourselves in order not to see what we have become as a nation, as a people. Those who hold high office are being blackmailed. They live in fear of losing face, status, reputation, position, money, or whatever is important to them. They follow orders and no longer think for themselves. Many don’t even know that what they believe has been programmed into them, defining the limits of what they are allowed to think if they wish to hold onto their position in life. You don’t have to be an elected official for this to happen to you. To be elected to public office requires that you gain favor from certain individuals who possess wealth and power. And yet you can’t get elected unless you get enough votes. So to get elected and to stay in office you have to tell voters what they want to hear but later, behind closed doors, do just the opposite of what you told them. You have to ignore injustices you discover and sign legislation that contributes to injustice in ways you may not even understand. And those injustices can include some of the most horrific crimes that human beings can contemplate and carry out against other human beings. You have to spend your time dialing for dollars rather than doing the people’s business. You have to pass legislation that funnels money into the hands of the already privileged and undeserving few at the expense of ordinary citizens. You have to support war and war crimes. You have to tow the party line, fall into place, and follow the lead of people you fear. If you don’t fall into line you can be destroyed by someone who has the goods on you and knows how to use that illegally gathered information to get what they want. There are exceptions, of course, but you live and operate within the confines and in an atmosphere of systemic corruption. And this is true whether you are a judge, an elected official, or an appointee to a position of power. The specifics that prove what I am saying is true, are what whistleblowers have been trying to tell us and what those in power don’t want us to know; for if too many of us did know and understand, and if we believed in ourselves, we might actually try to do something about it and succeed. Of course if we never try and don’t succeed, we will continue to lose more of our freedoms, our wealth, our dignity, and our happiness. via Implications of the Surveillance State.